The landmark reference book on comparative mediation regulation and practices in 60 jurisdictions, including all countries of the European Union, was launched on October 16th. 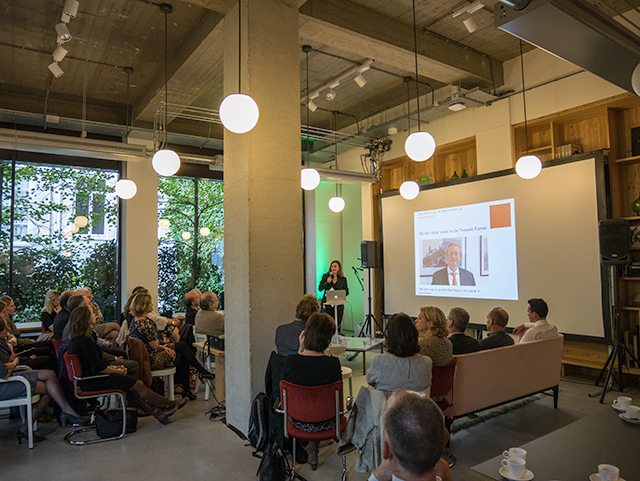 The event was hosted in the Schonewille & Schonewille Legal Mediation offices in the Vijzelstraat in Amsterdam and sponsored by Eleven publishing. 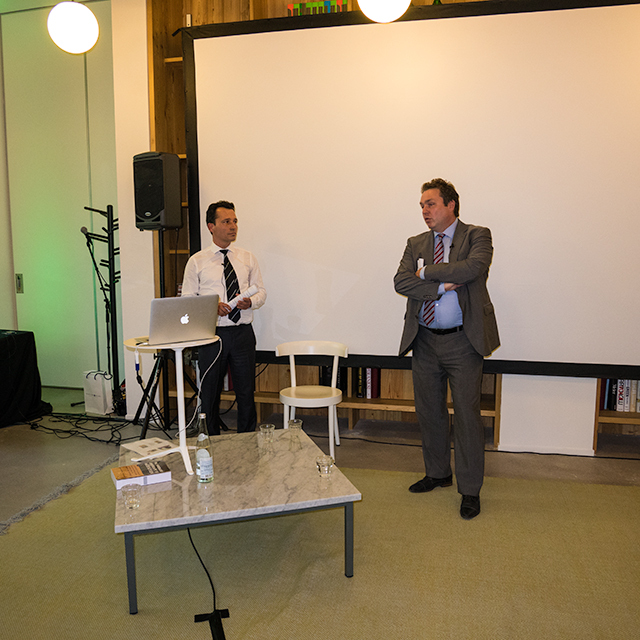 High profile speakers from Shell and Schiphol airport shared their vision on corporate mediation. Senior Legal Counsel Global Litigation Europe & MENA SHELL International Cyril Dumoulin and Director Corporate Legal Schiphol Group Jan-Willem Prakke presented in a refreshing interview format their vision on how to stimulate an 'effective dispute resolution mindset’ within a large organisation and had a lively discussion with the legal in-house counsel, external lawyers, managers and mediators in the audience. Ard van der Steur, the Member of the Dutch Parliament who initated the Dutch mediation legisltion (liberal party, VVD), adressed the participants through a video presentation (Dutch spoken). MP Ard van der Steur who initiated the Dutch mediation legislation speaks to the participants through a video link. Watch the speech here. Senior Legal Counsel Global Litigation Europe & MENA SHELL International Cyril Dumoulin (left) and Director Corporate Legal Schiphol Group Jan-Willem Prakke (right) presented their vision on how to stimulate an 'effective dispute resolution mindset’ within large organisations. 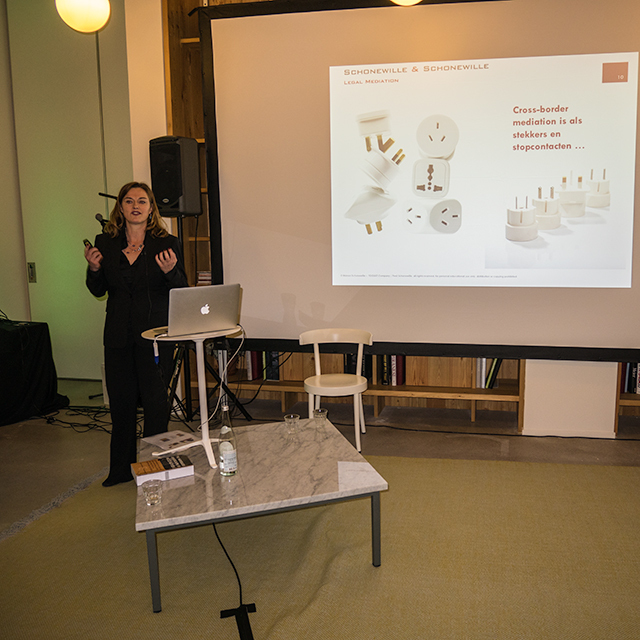 Manon Schonewille presented a summary of the most compelling findings of the study on comparative mediation regulation and practices in 60 jurisdictions. 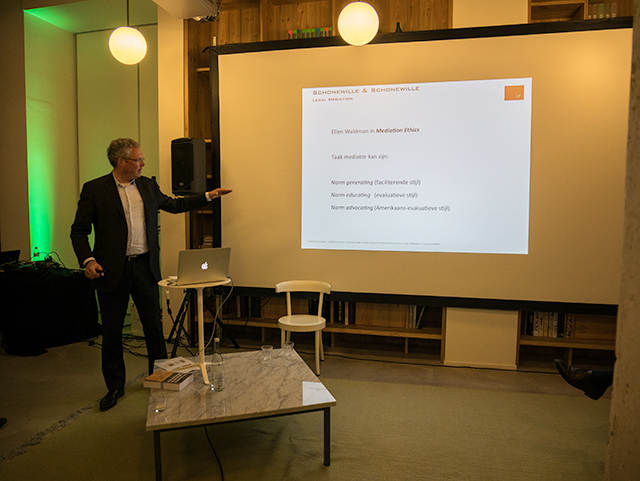 Dr. Fred Schonewille presented the new Dutch Mediation Act that is currently beign discussed in Parliament and for which he acted as the main advisor. 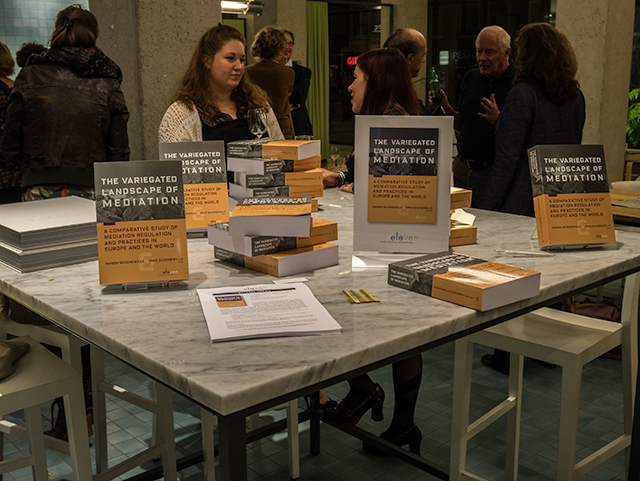 Launch of the book 'Variegated landscape of mediation'. 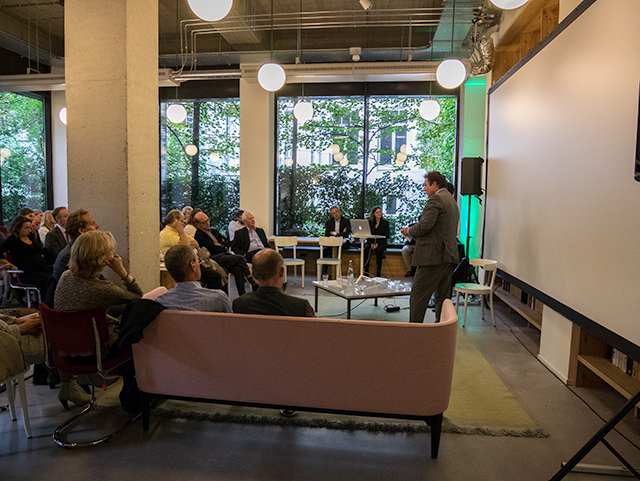 Pictures taken at Spaces Vijzelstraat by Huub Liefhebber © 2014 | all rights reserved.